Mikey, Donnie, Leo and Raph are out of breath after an epic truck chase through the snow, but they must still face Shredder in a climactic battle to the death. To help psych themselves up and prepare for this grueling fight, they ease the tension by dropping a rap beat in an elevator that is racing them towards their ultimate destiny. 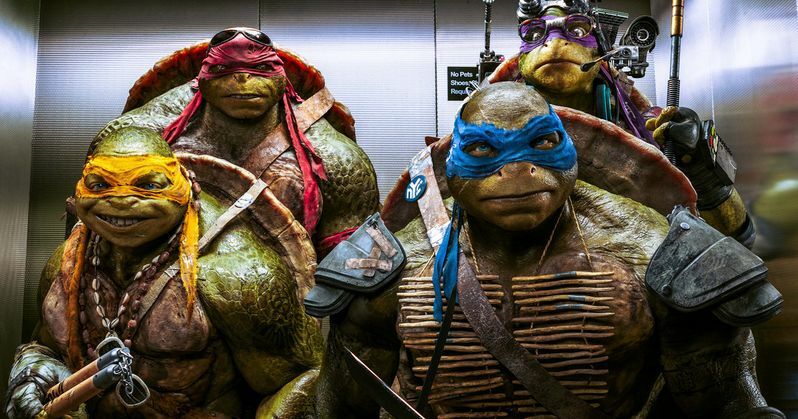 Watch as the Teenage Mutant Ninja Turtles gear up for one of this summer's biggest clashes in the third clip from this Michael Bay produced remake directed by Jonathan Liebesman, in theaters this Friday. Can you say, 'Cowabunga'?